We’re just so excited to return to our much-loved Soulshine Alpine. Boasting buckets of charm and boutique luxury standards, Chalet Rosière is the perfect Soulshine mountain retreat. 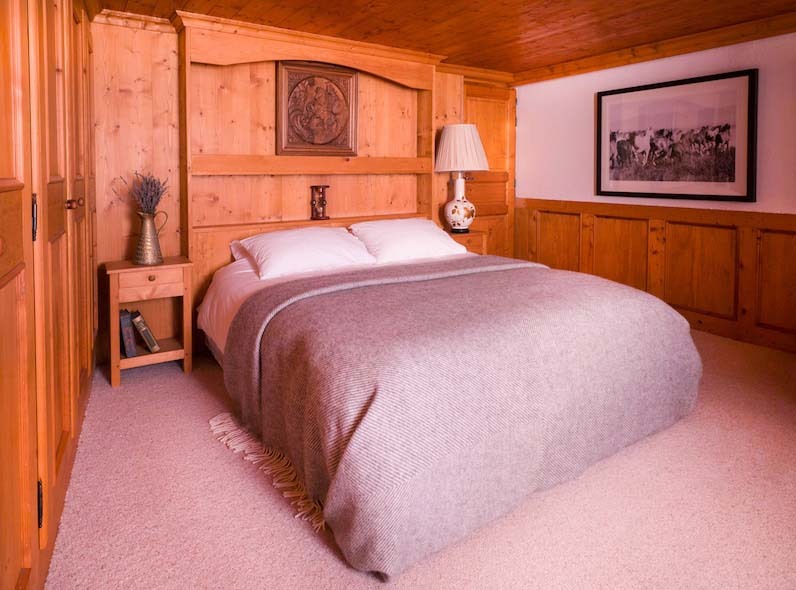 Situated in the more modern second chalet, Cerf provides a peaceful mountain sanctuary. This spacious room has a small balcony and sleeps two in complete comfort in a kingsize bed. The ensuite bathroom comes complete with a bath/shower. This is the perfect option for travelling with a loved one or friends happy to share a double bed. 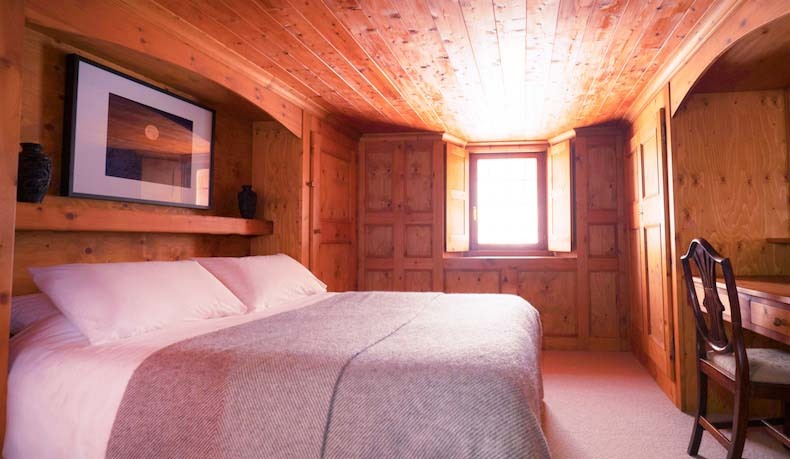 Situated on the lower floor of the chalet and with beautiful traditional wood panelling, a desk and dressing table and generous storage space, Le Loup is a gorgeous mountain hideaway. This room sleeps two in complete comfort with an ensuite bathroom with walk-in shower. The elegant middle floor Aigle offers twin accommodation with gorgeous wood panelling, a private Juliet balcony overlooking the Tarantaise valley and ensuite bathroom. Currently shown as double but will be separated into two twin beds. 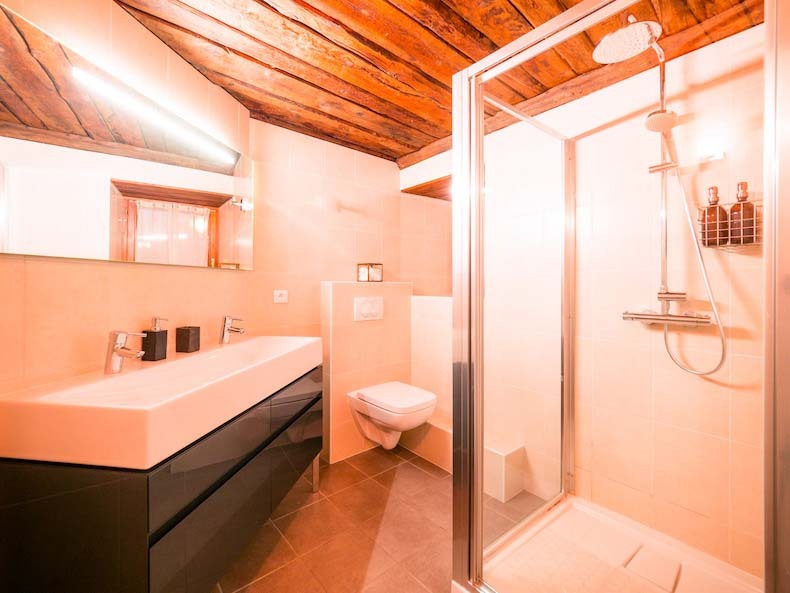 Charming Sanglier offers twin accommodation in the more modern second chalet, with gorgeous wood panelling, views overlooking the Tarantaise valley and an ensuite bathroom complete with a bath/shower. Middle floor Hibou is guarded over by a Tibetan Tanka and has its own special library for those with particularly enquiring minds. L’Hibou enjoys a large bathroom just outside of the room with a walk-in shower. Please note, this is your private bathroom and shared only with your roomie. 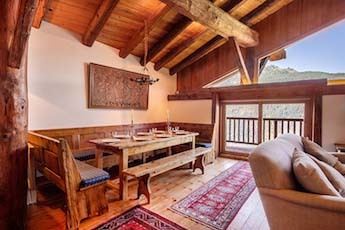 Jam-packed with charm and with its own external access, Chamois offers a twin room with a shared bathroom. An antique rocking chair and incredible view make this corner of our chalet just perfect for a peaceful afternoon of reading and day-dreaming. Chamois shares an ensuite bathroom which has a bath/shower. Please note - Chamois only shares an ensuite bathroom with your Soulshine teacher and host - the bonus of this is that they will work around your schedule, so it will be almost like having it to yourself! Due to the gigantic amount of interest in our Soulshine Snow Yoga Adventures and with just four dates for 2019, we've saved our launch date for Friday 19 October, giving you some time to plan your perfect Soulshine escape with our Bookings Team and get ready to nab your spot and hopefully a fantastic Early-Bird offer as soon as we launch. ARRIVALS: Guests to land at Geneva Airport by 12pm on the Sunday. Ready to leave Geneva Airport by 12:45pm.